It's a safe bet you or someone you know will be in an airport in the next few weeks. For nearly 40 million Americans, getting home for the holidays means first getting through airport security. Mark Lendvay is federal security director for all the commercial airports in Wisconsin, none bigger than Mitchell International. Making sure all those people safely get where they are going is a massive undertaking. Every piece of luggage packed with Christmas gifts and heavy, cold-weather clothing needs to be inspected and deemed safe. 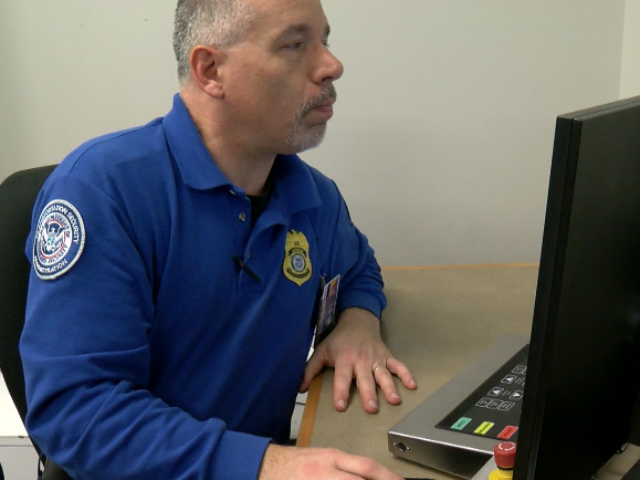 In Milwaukee, Wisconsin, the TSA opened its doors to Scripps station TMJ4 so they could see how that important job is done. 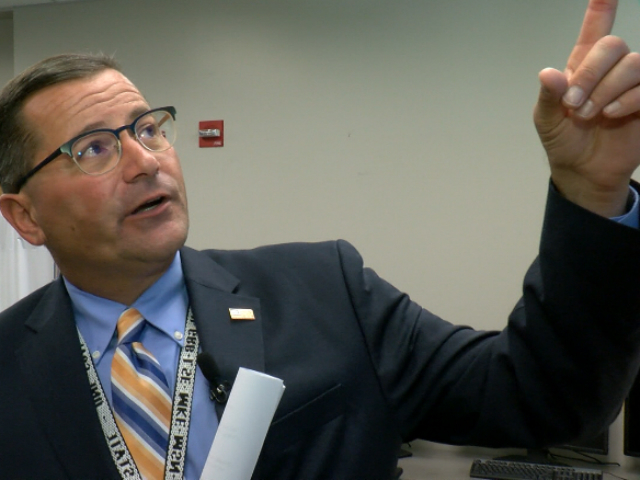 The TSA tour guide was Mark Lendvay, federal security director for all the commercial airports in Wisconsin, none bigger than Mitchell International. With Lendvay leading the way, we saw answers to some of the mysteries of modern air travel. What happens to your suitcase ... your golf clubs ... your whatever once it's pushed past the ticket counter? Who back there is tossing your bag around? Who's looking through your stuff?! As the crow flies, the distance from ticket counter to your airplane can be as short as a couple hundred feet. As your checked bag moves, that journey covers more than two miles and a couple changes in altitude. It's a journey that can grow even longer if your bag is selected for a more intensive screening process. To better understand where that bag goes and what it encounters, TMJ4 sent a package rigged with cameras through the entire system. It begins at the ticket counter where an airline employee checks in the passenger and takes custody of the bag to be checked into the cargo bay of the airplane. The bag is marked with a sticker that tells handlers who the bag belongs to and where it is heading. That same information is contained within a bar code that identifies the bag through a ten-digit number. Once on the conveyor belt, odds are about 20 to 1 against a TSA employee ever coming into contact with your bag. That bar code is crucial to the process, as the ticket agent is likely the last pair of human hands to touch your bag for a while. Once on the conveyor belt, odds are about 20 to 1 against a TSA employee ever coming into contact with your bag. The process is designed around automation. A maze of conveyor belts carry the bag along, starting and stopping as other bags merge into the process. The first scanner your bag encounters is all about that bar code attached to its handle. If the ticket counter agent practiced good "bag hygiene" as the TSA calls it, that bar code should be front and center as the bag moves through a matrix of strobing red lights. Those lights are actually the eyes of a 360-degree scanning system that can read the bar code in almost any direction, from almost any angle. On the off chance a tag has shifted or a piece of luggage has tipped over, the bag gets kicked out to another conveyor the TSA calls "out of gauge." It's here a worker would physically re-set the bag on the conveyor and send it back around for a second look by the all-seeing bar code scanner. Once the bag has been properly identified, it is off to one of four devices that ensure bags are safe to go on board the airplane. These scanners are called Examiner3DXs and, as the name suggests, they look inside your bag in three dimensions. They also take a good electronic whiff of your bag, smelling for traces of chemicals that could indicate the presence of explosives. The trip from ticket counter to the airline baggage handlers took about 11 minutes. Here's that journey compressed to 30 seconds. Most days, only two of the four Examiner3DX scanners are in use at one time. It's a way to keep the mileage down, according to the TSA, saving the full complement for heavy travel periods like Thanksgiving weekend. Much like a hospital CT-scan does, the scanners slice through a bag in search of suspect objects. While 95 percent of bags are cleared immediately by the scanner, bottles full of liquid and heavy metal objects are frequent candidates for further inspection. The first step in that closer look happens in a room far removed from the conveyor system called "on screen resolution." About once every couple minutes, a TSA employee in this room is alerted to a problem bag. Moments later, his computer screen fills up with images of the bag scan made by the Examiner3DX and a clock, counting down from one minute. If the officer working on-screen resolution can figure out what it is that flagged a bag for closer inspection, the bag can be cleared by a touch of a button and sent on the way. With seconds ticking off, the agent uses a joystick to rotate the bag in 3D space and a keyboard to slice deeper into whatever it is that triggered the alert. If the agent can figure out what it is that sounded the alarm, the bag can be cleared by a touch of a button and sent on the way. If the clock runs out and the agent has not cleared the bag, it's sent on to a team for "secondary screening." When this happens, the bag is diverted to a new conveyor line and in the direction of a team of TSA agents authorized to look inside your luggage. In a room further down the line and behind a secure door, those agents are notified by computer that a suspect bag is on the way. They see the same images used in the on screen resolution room with the suspicious part of the bag highlighted in red. This helps the secondary screeners get to the question quickly, instead of rooting blindly through a bag. With that guidance in hand, the agent unzips the luggage and gets to work looking at the item demanding further inspection. Once the threat has been cleared, the bag's contents are put back as they were found. The agent then initials a slip of paper and stamps it with the time and date. It is placed into the luggage as a receipt of sorts saying "the TSA was here." Odds are slim a secondary screening agent would be able to steal something from a bag, as they work in teams and are under the constant eye of video cameras. If something did go missing, that bar code on your bag (there it is again!) would help identify who touched your bag and when. Once it's all zipped up, the bag is placed back on a conveyor belt and back on the path to your airplane. Oh, by the way... this has all happened in about ten minutes, or faster than it probably took to recombobulate yourself after passing through the concourse security checkpoint. Photojournalists Paul Marble and Shaun Farrell, graphic artist Nick Sanders and intern Rebecca Papenthien contributed to this report.